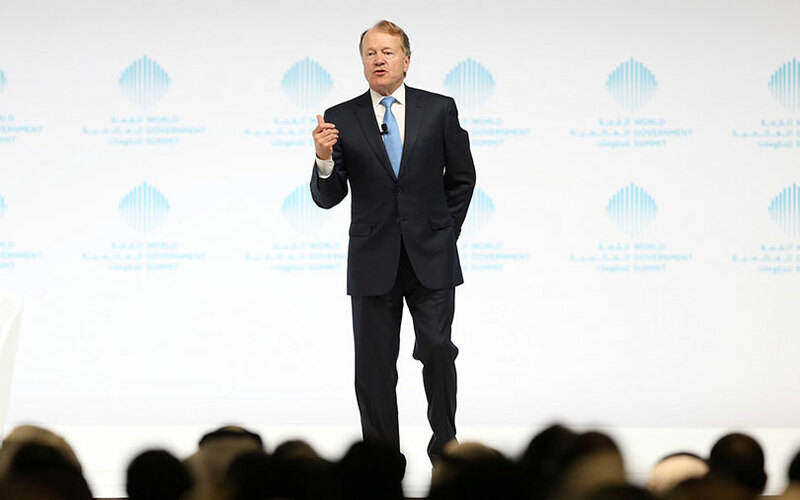 Former Cisco executive chairman John Chambers has expressed his interest in working with drone startups in India. In reply to a tweet by a reporter asking about his future investments in Indian drone startups, Chambers, who is the chairman of the US-India Strategic Partnership Forum, said that he “will be focusing on the next several startups out of India, where I could possible help and be fun to work with the CEO”. Fair question. Will be focusing on the next several startups out of India where I could possibly help and be fun to work with the CEO. Chambers had earlier tweeted about visiting a San Francisco-based drone company, DeDrone, which claims to have created the first automated software platform to detect drones and mitigate threats. He had also tweeted about working with another drone startup, Airware, which develops commercial drone solutions for enterprises to take advantage of aerial data, barely four days before the DeDrone visit. In November, Chambers was in India to pick up a 10% stake in Chennai-based Uniphore Software Systems Pvt. Ltd for an undisclosed amount. The transaction was part of the speech recognition software firm’s Series B funding round. The former Cisco executive had said that he was looking to invest in at least four more startups working in the field of artificial intelligence, natural language processing, Internet of Things, robotics, machine learning, drones or security segments. Chambers’s tweets assume significance as both the US and India are in the process of formalising rules to promote drones for commercial operations. In October, President Donald Trump had signed a memorandum asking the US transportation department to draft a new law that could help plying of drones for commercial purposes easier. Indian civil aviation regulator, the Directorate General of Civil Aviation (DGCA), too, has floated a consultation paper on enabling commercial use of drones, including for photography, doorstep delivery and passenger transport systems, besides aerial inspection and data collection solutions. The rules are set to be formalised in January. Incidentally, the Indian government’s consultation paper raises concerns over regulating drones in the sky – something that DeDrone specialises in. So, speculations are rife that Chambers, who is also the chairman of USISPF, might play the role of intermediary between the US company and the DGCA. A tweet seeking Chambers’ view on whether DeDrone or other drone startups could possibly work with DGCA has, however, did not elicit any response yet. Thanks Mr @JohnTChambers , India needs mentors, you are already mentoring @uniphore. India is also formalizing its drone policy in Jan where it needs @Dedrone tech to monitor drones..are you helping them connect to @moca_goi..What kind of drone applications do you see in India? The other possibility is that DeDrone could partner with an Indian drone startup via Chambers. According to media reports, Indian consumers have spent about Rs 40 crore to buy civil drones, including toy drones, in the past two years. Drone startups have also been working with oil and gas, telecom, cement, infrastructure and utility companies, to provide services such as land-mapping, and diagnostic checks for furnaces and telecom towers. “We have been working with the biggest oil and gas companies and large private telecom companies to help them save time and costs,” Aakash Sinha, CEO of industrial drone maker Omnipresent Robot Tech, had told VCCircle during an earlier interaction. Most drone startups in India, in fact, are considering fundraises once the regulator rolls out the final guidelines for the sector. Indian drone startups include Skylark Drones, Johnette Technologies, Quidich Innovation Labs, Airpix and ideaForge.